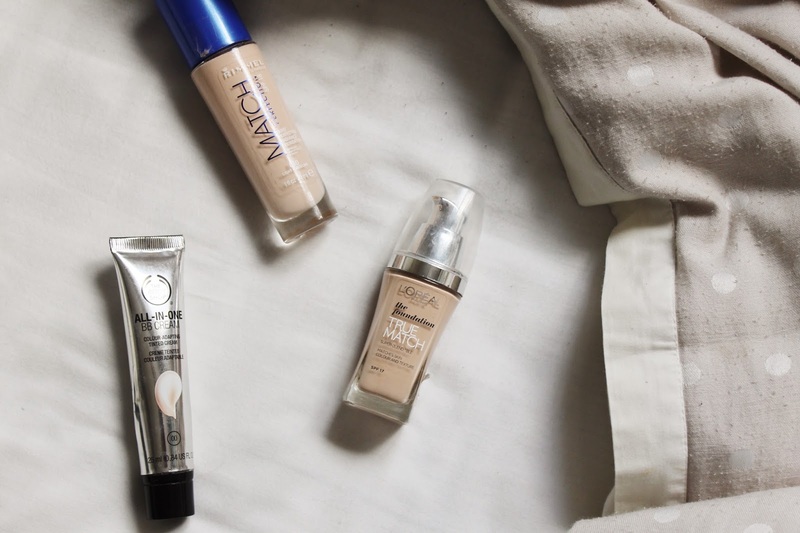 When I first started out with make up, I was overwhelmed by the choice of foundations there were to offer and, still, today, I am so glad I discovered blogging to help navigate me to the best picks of the drug store. These days, I stick to what I know and have narrowed my collection down to just 3 foundations which I use depending on occasion. Yes, most only need one and I could probably do the same but I like having an option and the chance to regularly switch up my make up. My choices will probably come as no shock as I mention them time and time again but I thought they deserved their own post of recognition. The True Match foundation is the one I use when I want a full coverage base which is perfect for a party or a late night out with friends. I always save full coverage foundations for special occasions, when I want to put that little bit more effort into looking good and this foundation is perfect! I was this on my prom last year and it lasted all night so it really does stand the test of time for me as well as looking great in photos with fairly any flash back as long as everything's powdered nicely. I always feel my skin looks best with this foundation an with a good cleanse, moisturise and prime, it doesn't look cakey or cling to any dry patches. From full coverage to extremely light coverage. This is my favourite base product to use when I'm just feeling lazy and my skin's good enough to be lazy when I want to just throw some make up on before going to the shops or for a quick walk. I also think it's a great holiday pick and is why I'v used it on holiday for the past two years; I can never really be bothered on holiday to have to deal with make up that continually get oily and need a powder or to be maintained throughout the day. This is such a quick base to apply and no touch ups needed for me- not even powder. It just adds a bit of colour into your face this BB Cream and, with some concealing, I think this is a great base especially for those who don't have many skin problems. Last college year, this became my everyday staple and things will probably be the same next year as it's so easy to apply and I only have to moisturise and prime in the morning for this not to cling to any dry areas saving me time first thing in the morning from skipping cleansing. It isn't as full coverage as the L'oreal foundation but I think it's the perfect coverage just for going out and about as well as school and college. I think this a great foundation also for those with dry skin as it's a very runny formula and even I have to powder during the day to keep shine at bay but I don't mind because it's only college! These are the three foundations I alternate between and I think I'll be repurchasing all three for a while! What foundations do you love? Do you have an all rounder or do you alternate?